The Southeast Rügen Biosphere Reserve offers a varied and informative programme of guided walks and hikes in the reserve from the 1st May to 31st October. The programme for 2014 can be downloaded at German website. Groups can request guides for special topics and occasions throughout the year. Information about activities in the natural areas throughout Mecklenburg-Western Pomerania is available under www.natur-mv.de. 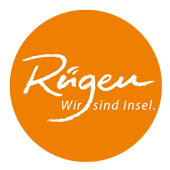 The website of the Rügen Tourist Office offers a calender of events for the entire island.